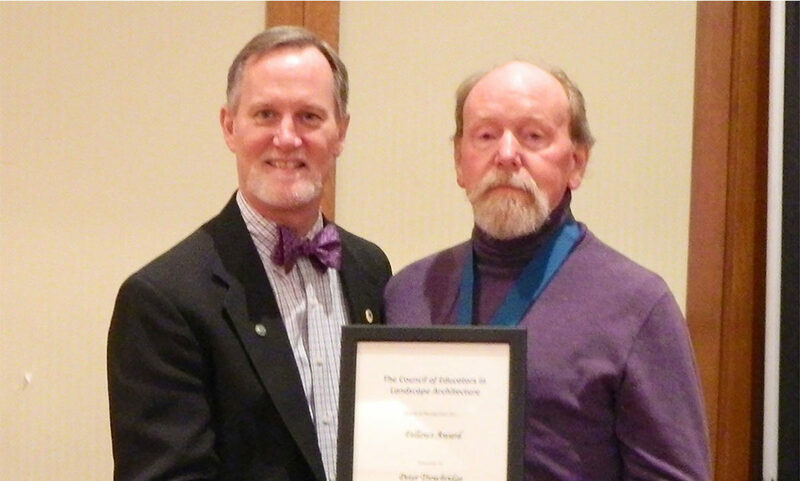 TWMLA is excited to share that Peter Trowbridge, RLA, FASLA has been selected to become a Fellow of the Council of Educators in Landscape Architecture (CELA). This high achievement recognizes Peter’s lifetime accomplishments and contributions to Landscape Architecture through the teaching of Landscape Architecture students, work, and research. Congratulations on this well-deserved accomplishment Peter!